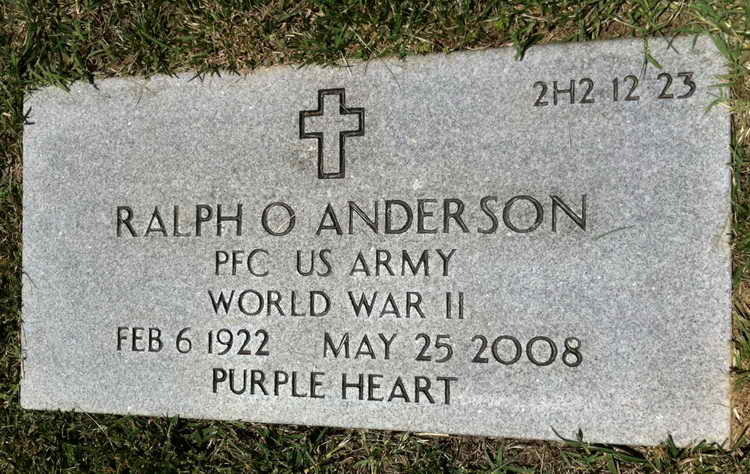 Grave marker for Ralph O. Anderson in Section 2H2 Row 12 Site 23 of the Maryland Veterans Cemetery, Crownsville (Anne Arundel county), Maryland. Ralph enlisted in the U.S. Army on 29 December 1942 at Baltimore, MD. He was assigned to the Service Company of the 508th Parachute Infantry Regiment and was awarded the Bronze Service Arrowhead device for his participation in Normandy assault.